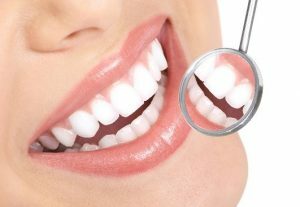 Want to restore your bite with a dental crown in Anchorage? Dental crowns are one of the best (if not the best) way to prolong the life of a damaged, fractured or decayed tooth. Also known as caps, crowns recreate the entire 360-degree exterior of a healthy tooth. Placing a dental crown over a compromised tooth provides strength and support and protects it from additional damage. Quality crowns are carefully designed and handcrafted to fit your exact bite. Successful treatment with crowns requires the skill of an extraordinary cosmetic and restorative dentist. Dr. David Green of Turnagain Dental will review all of your options with you, explaining the pros and cons of each, before recommending treatment with crowns. He will take the time to educate you about different crown materials, including tooth-colored and metal crowns, and help you select the perfect fit for your particular needs. More and more patients are opting for tooth-colored crowns because they are designed to blend in with the surrounding natural teeth. You may need a dental crown if you have a broken or cracked tooth, perhaps from an accident, trauma or years of use. Crowns cover and protect jeopardized teeth to lower the risk of additional damage or deterioration. Small cracks can worsen if left untreated, causing additional damage that is more difficult to treat; therefore, it’s important to have a small crack looked at and treated quickly to avoid problems in the future. Another reason why you may need a dental crown is if you have tooth decay that is too extensive for a filling. If a substantial portion of your tooth is decayed, crowns are a better option than a filling because they offer better protection. Also, large fillings weaken the tooth and could cause the tooth to break, so it’s usually better to take a proactive approach and place a strong, durable crown. Crowns are also used to top dental implants and anchor dental bridges. Traditional bridges are constructed from two crowns bookending an artificial tooth. If you have a gap left by a missing tooth (or teeth), the natural teeth surrounding the gap will be crowned and the artificial tooth will fill the gap. Finally, if you need a root canal, a crown will be placed over the affected tooth to protect it from further damage. Traditional dental crowns require two or more visits for design and delivery. 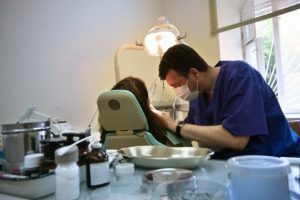 At the first visit, Dr. Green must remove a small amount of natural tooth structure (including any decay) to make room to fit the crown over the surface of the tooth. Impressions will be made of the affected tooth and used to design the crown so it fits snugly. Dr. Green can place a provisional crown over the prepared tooth to protect it while the definitive restoration is being constructed. Once the dental laboratory has fabricated the custom crown, the second visit takes place. Dr. Green removes the temporary crown and positions the definitive crown over the affected tooth. He checks its fit as well as the bite. Finally, he bonds or cements the dental crown into place and finishes by polishing it. A crown can last for many, many years, depending on the material, where in the mouth it is placed and how you maintain your crown. Dr. Green will provide you with detailed instructions for caring for your new crown and preventing any damage. With the proper care, you can enjoy your crown for years to come. If you would like more information about dental crowns, including what they are used for and how they are placed, Dr. Green welcomes you to contact Turnagain Dental and request an appointment.